Before coming to the United States, check out the following links for important information. F-1 students may be admitted to the United States no more than 30 days before the program start date that is stated in SEVIS and in the Form I-20. Am I eligible to apply for a Social Security Number (SSN)? On December 16, 2003, the Social Security Administration (SSA) released a proposed regulation changing the Social Security Number (SSN) issuance procedures for international students in F-1 immigration status. The changes are not actually new. Rather, they are the codification of long-standing local SSA practices. Under the new proposed regulations, without a valid employment authorization document issued by the USCIS, SSA now requires an F-1 student to prove that he or she has secured a job before the agency will issue a Social Security number. According to the SSA, this increased evidentiary requirement is being proposed to reduce the opportunity for fraud and to prevent the misuse of SSNs. In the past, the fact that an F-1 student was eligible for on-campus employment was sufficient for SSN issuance. Nevertheless, despite the lack of authority in the regulations, many local SSA offices were insisting on evidence of a secured position, or at least a pending job offer, before accepting SSN applications from F-1 students. The proposed rule codifies this longstanding, but controversial requirement. According to SSA regulation 20 CFR 422.107, in order to apply for a SSN, a non-citizen must prove that he or she was admitted to the United States by USCIS in a status that is authorized for employment. Because they are not (and cannot be) authorized to work, SSA consistently denied SSNs to non-immigrants in the B, F-2, H-4, etc. statuses due to this regulation. The identification of the employer for whom the student is/will be working. In addition to a letter from the DSO, the student must also offer evidence of employment. The student must provide documentation proving that he/she is engaging in, or has secured employment (e.g., a statement from the student’s employer). The SSA states that the increased evidentiary burden is necessary for fraud prevention purposes and to protect the “integrity of the social security number system.” Also, the SSA stated that they are trying to prevent the misuse of the SSNs by refusing to issue numbers to students without secured employment since “they do not intend to work but need an SSN to obtain goods or services in the community.” Even though in practice Social Security numbers are an essential requirement and an integral part of our daily lives, the SSA has always emphasized that SSNs are for employment purposes only, and all of the other uses are incidental to their primary purpose. The proposed regulations were published in the Federal Register on December 16, 2003. What documentation do I need to bring to the Social Security office? Where is the Social Security office in Rome, Georgia located? You are required to pay taxes as an F1 student . This charge will appear at the middle of the semester in your student account. 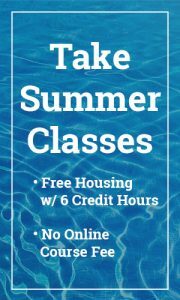 You need to pay this and other charges before you can enroll for classes for the following semester. Why do you need to pay taxes? It is the law. If you have had more tax withheld than you owe, you can get a refund. Whatever amount that you receive as Scholarship by Shorter that exceeds the cost of tuition and board is considered by the U.S. Government as INCOME. Therefore, that difference is taxable. Every year before April 15, you will fill out forms in order to file for taxes (like everybody else) and if the amount of taxes that you paid throughout the year is more than what you actually owed, you will get a REFUND. We’ll offer workshops to help you fill out these tax forms…so no worries! For more international student information, contact the Office of International Programs at (800) 868-6980, ext. 7409 or lpalumbo@shorter.edu. It’s not required that all of our international students have health insurance, however, we highly recommend it. Shorter University does not provide health insurance for its international students (non-athletes), however, students should get in touch with the office of International Programs to get information about different health insurance options. International Student athletes are covered by Shorter University’s athletic health insurance for athletic injuries only. Do I need a Georgia’s Driver License? The Department of Motor Vehicle Services (DMVS), formerly known as the Department of Motor Vehicles (DMV) has once again changed names. The new name is the Department of Driver Services (DDS). DDS has published a new set of documentary requirements for the issuance of a Georgia driver’s license. In short, a letter from the school will no longer be acceptable to prove address in Georgia. The good news is that international students may not need to get a Georgia driver’s license at all. He or she is currently enrolled in a school in this state, has paid for the current period of enrollment the tuition charged by the school to nonresidents of Georgia, and has in his or her possession proof of payment of such tuition for such current period of enrollment. In short, an international student DOES NOT NEED TO GET A GEORGIA DRIVER’S LICENSE as long as he/she is registered as a student in a school in Georgia, and has paid his/her tuition for that semester/term. A copy of this particular citation from the O.C.G.A. Of course, students would probably benefit from getting a Georgia ID card (opening a bank account, etc.). Info on how to obtain one can be found at https://www.dmv.org/ga-georgia/id-cards.php.